When Marci's therapist gets involved in her love life, she's suddenly matched with a seven foot tall alien from another planet. Marci's life is boring. She's working a dead end job, sipping wine from the bottle on Friday nights, but she hasn't become a cat lady. Yet. She needs a change, and she knows it, what she doesn't know is her therapist just set her up with the AEP, Alien Exchange Program, and it's most interesting office, the Celestial Mates Dating Agency. It's all crazy of course, until it works. 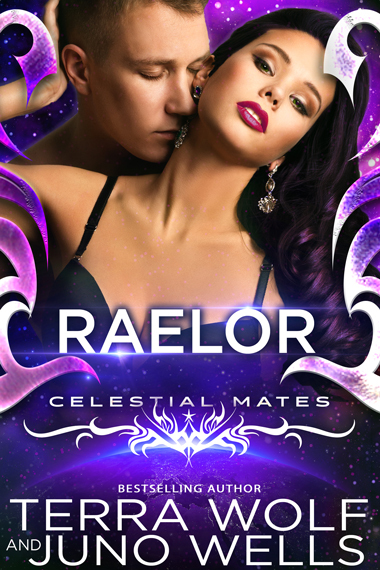 Raelor has been living the life of a Trekker, moving around the galaxies as a pilot, fighting for the good guys. But his father has sent him on a new mission. Go to Earth and gather intel, and oh yeah, don't fall in love with the cute hostess you're living with. When Marci's life is threatened Raelor must take action. She might be his mate after all.